Forget about buying gifts for one minute. 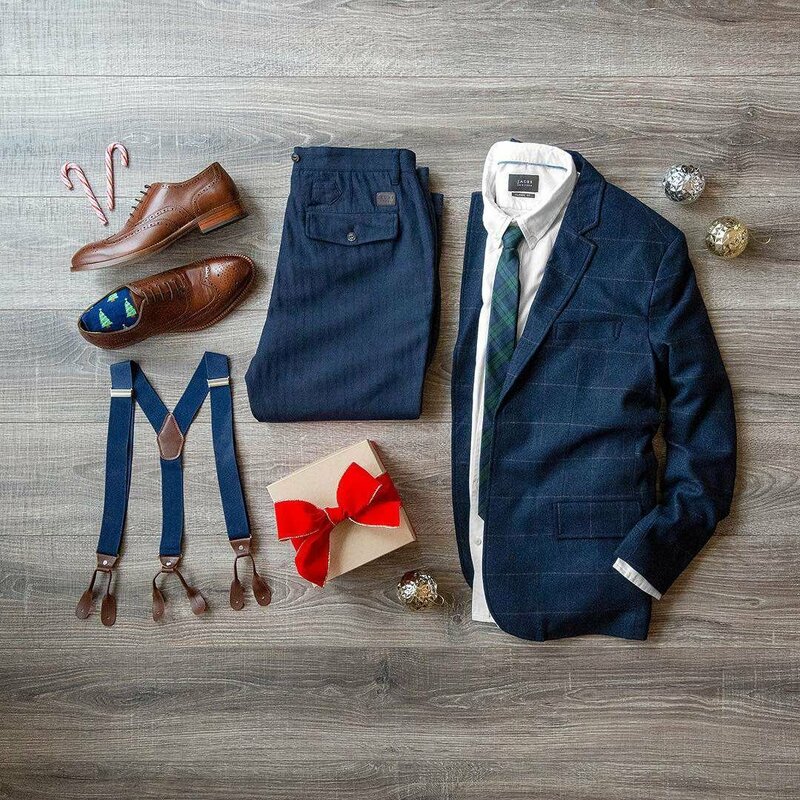 Here is what you should be wearing this holiday season. 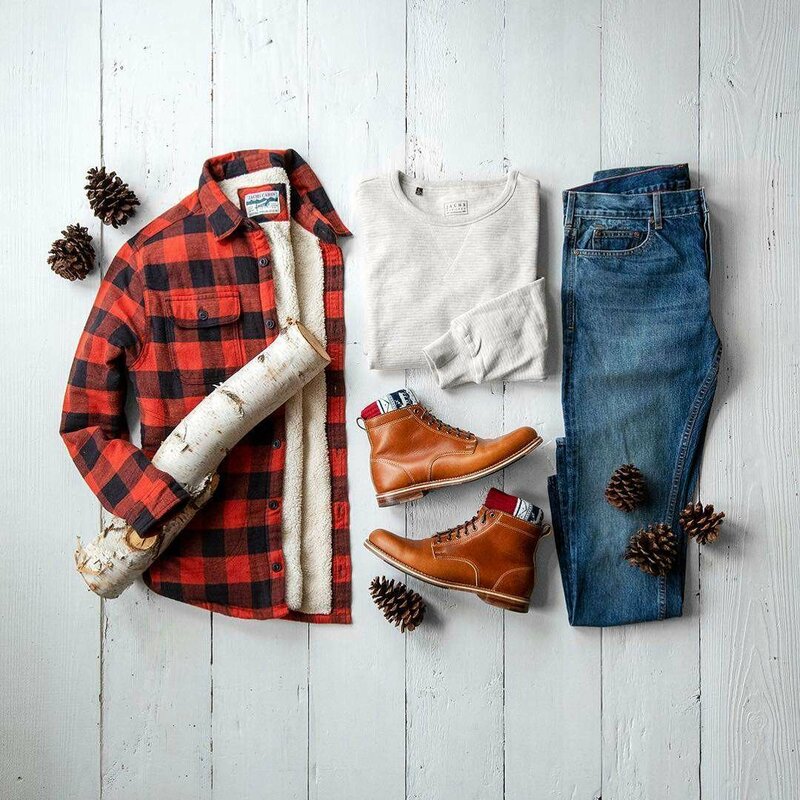 We've teamed up with our friend Seth Hartman (@mycreativelook) to make a special Holiday Lookbook to help you dress for every occasion during the festive season! Treat yourself, you deserve it! Whether you're running around town shopping, heading to the airport, or meeting up with old friends, the holiday season always has a way of getting you up off your couch and out on the town. Make sure you're as prepared for these more casual encounters as you are for New Year's Eve. 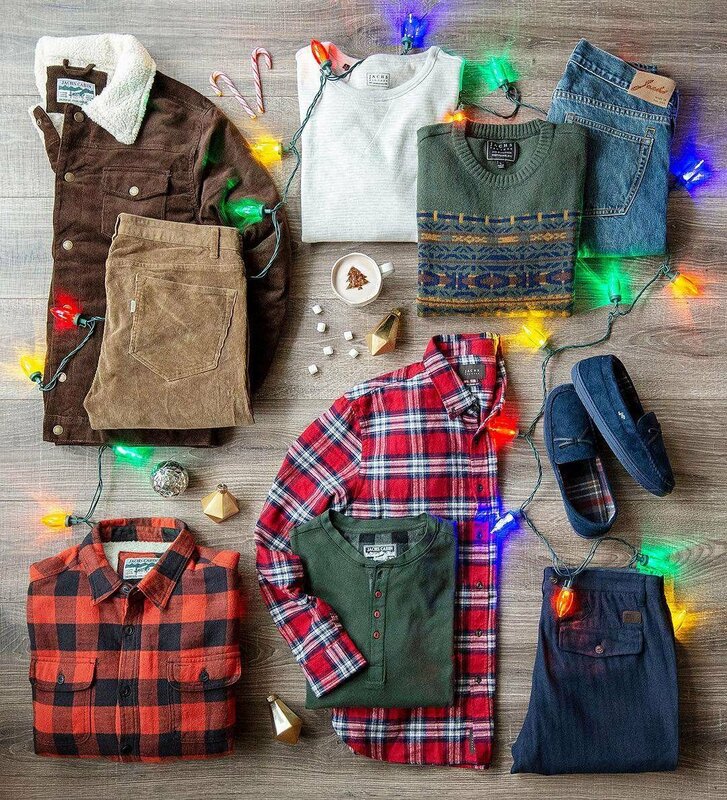 A pair of Stretch Corduroy pants paired with a classic Flannel, Henley and a Sherpa Lined Trucker Jacket will keep you warm, comfortable, and stylish wherever you're off to next. We're over this ugly sweater thing. Stand out at your next party because you've GOT style, not because you dress funny. 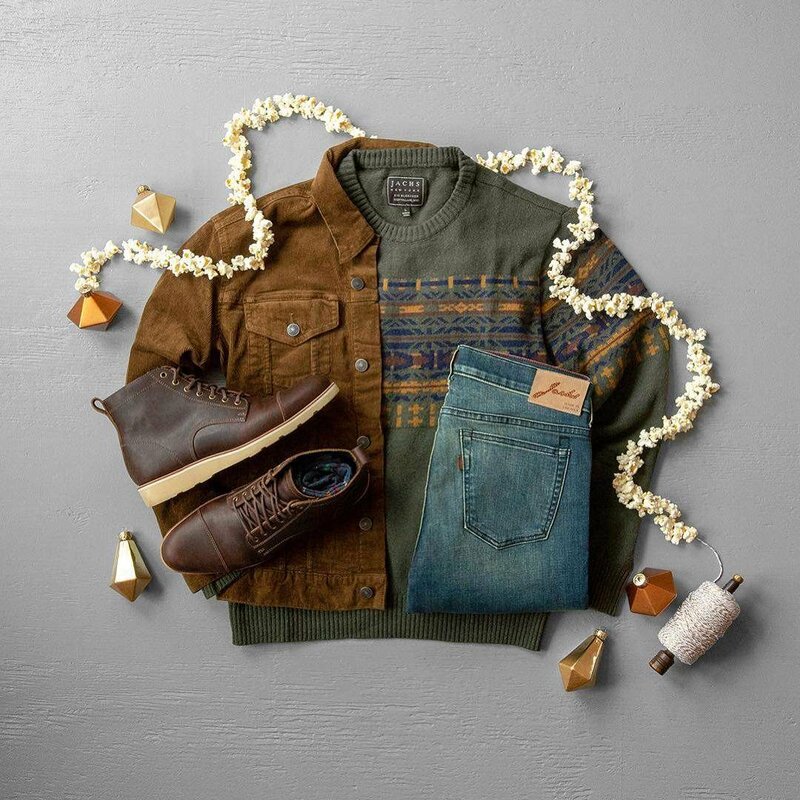 A simple, yet bold update to one of our favorite looks layers a classic Corduroy Trucker Jacket over a festive Fair Isle Sweater with light washed Jeans. Help us put an end to this epidemic! We think that one of the keys to happiness is having a sense of adventure and an open mind. Try new things, meet new people, and go to new places whenever the opportunity presents itself. Oh, and look good while you're at it. 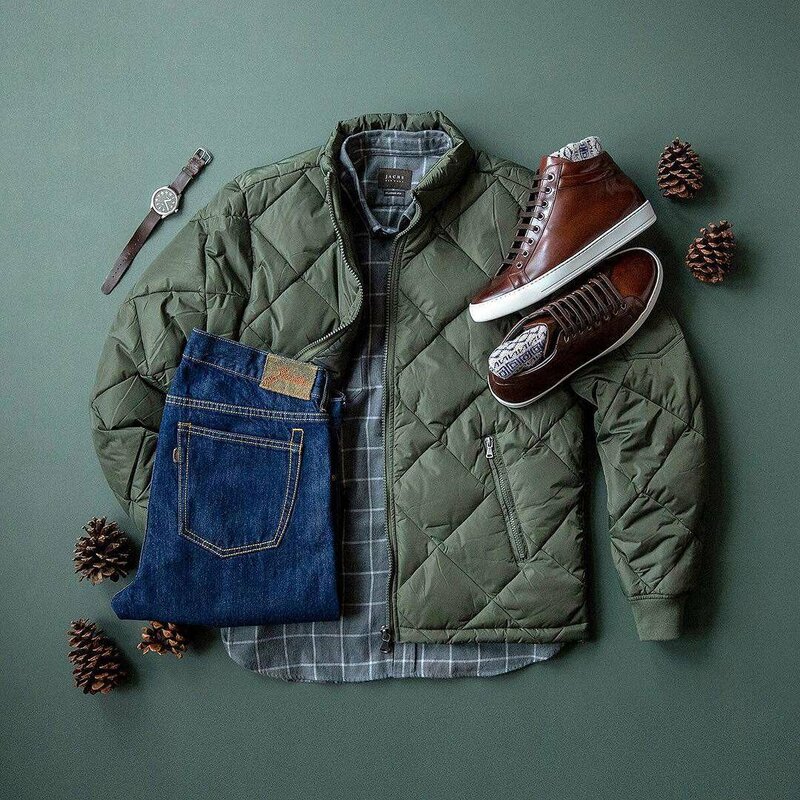 A flexible outfit with layers can be your best friend when you're out exploring. 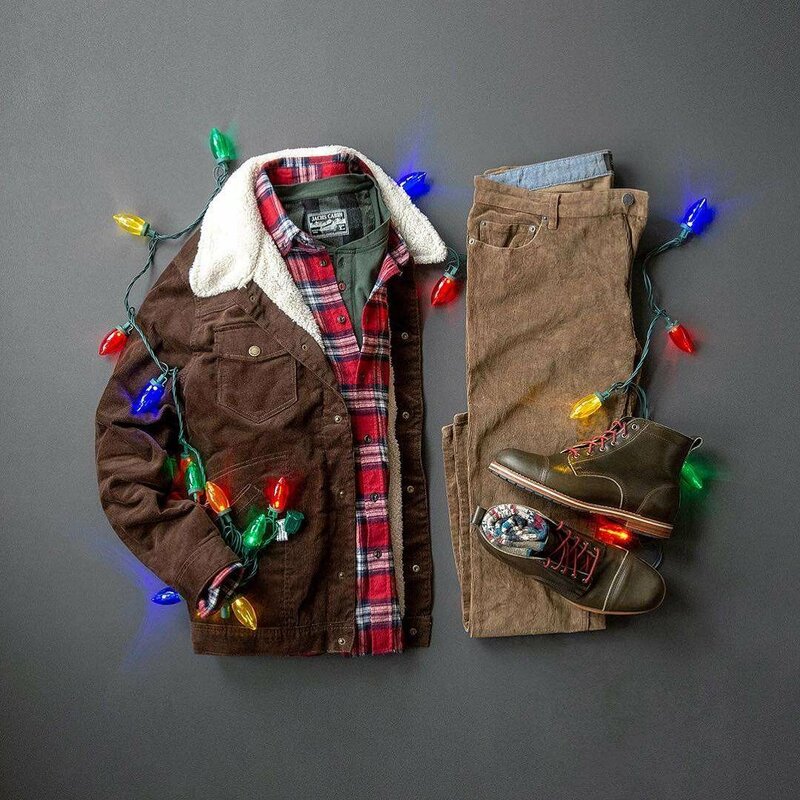 This combo features a Flannel Shirt Jacket, Fleece Crewneck and Made In USA Jeans that will have you covered on your next adventure! Sometimes the classics are all you need. A white oxford with a patterned tie and windowpane blazer is as classic as it gets and looks great every single time. If you're the adventurous type and want to throw in a little twist, match it up with a pair of our suspender pants. Fire place? Check. Cozy Slippers? Check. Late Night Snack? Check. Don't get so caught up in all of your holiday plans that you forget to squeeze in some quality me-time by the fire or under a cozy blanket. A truly stylish man looks good even when nobody is looking. 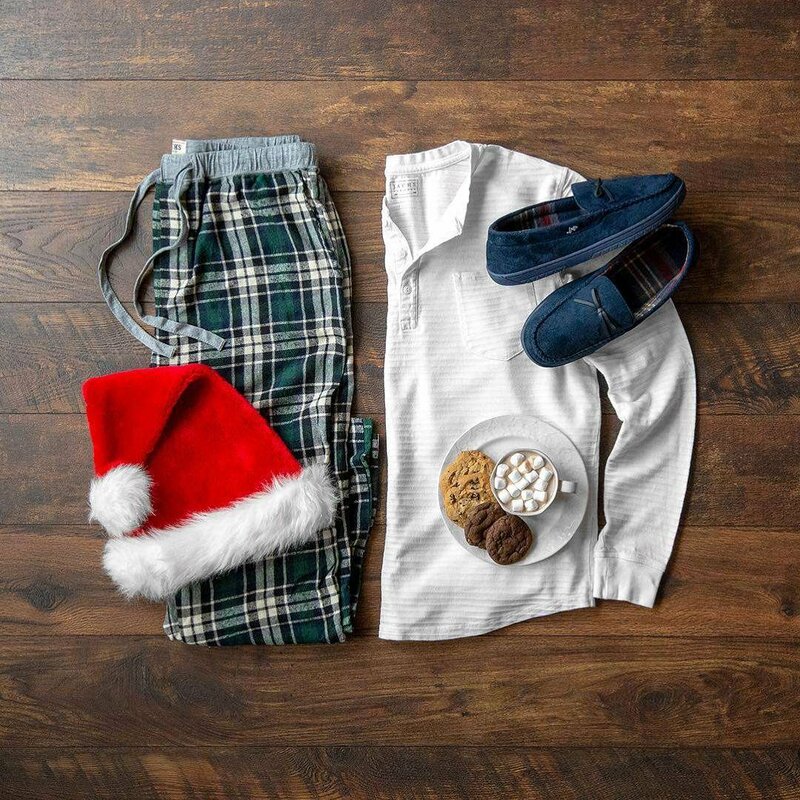 Cozy up in a Striped Long Sleeve Henley and some soft flannel pajama pants! Keep it simple and stylish; that's the name of the game. In our opinion, the easiest way to get dressed is by piecing together two or three elevated basic styles. None of these three pieces will stand out on their own, but combined look fresh, stylish, sophisticated, classy, and handsome AF. Grandpa-chic. Yeah.. it's a thing. 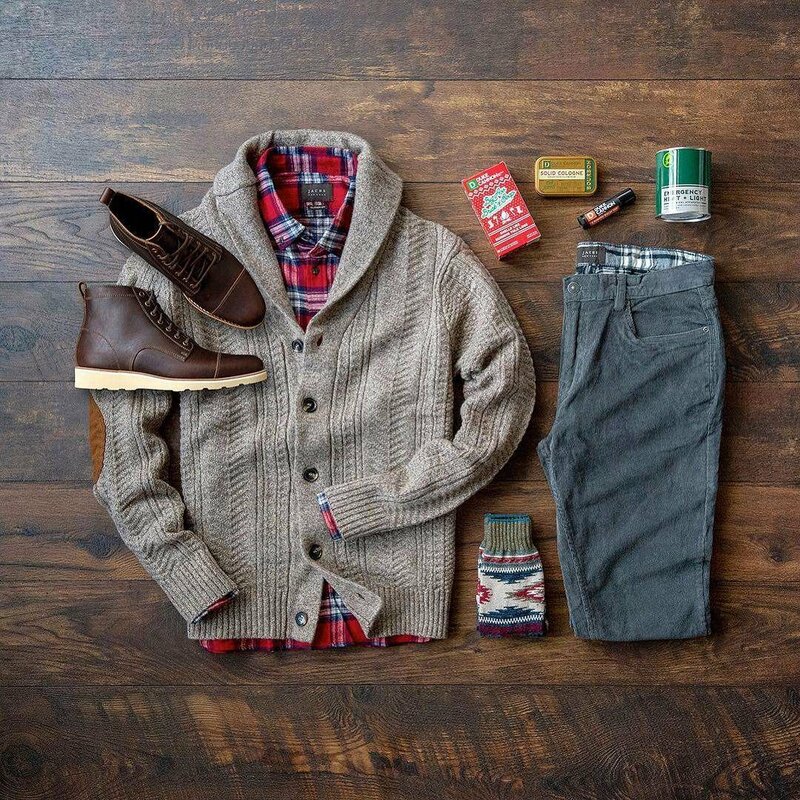 Once you wrap a thick vintage wool cardigan around your body you won't want to take it off. And somehow, it goes with almost everything! Versatile enough to dress up and down, they will get you through any dressing dilemma and have you standing out in no time.